Even though the weather forecast says that there will be thunderstorms, and I highlight thunderstorms, I really hope that on Saturday and Sunday it will be sunny in Tuscany. I want to go to my beloved Maremma this weekend. We leave early on Saturday morning heading to Follonica to visit one of the 4 exhibits of Joan Mirò. Magical Worlds. These great exhibits color the Maremma through the beautiful illustrations of Joan Mirò. 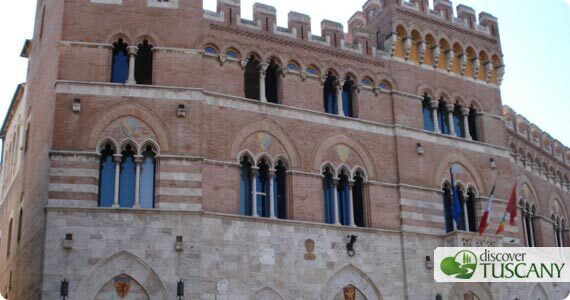 The artworks are displayed in four different locations in Maremma: in Follonica at the Art Gallery Amedeo Modigliani, in Grosseto at the Archeological Museum of Art of Maremma, in Castel del Piano at the Art Collection of Palazzo Nerucci and in Pitigliano at the Orsini Fortress. At the beginning I planned to do the four exhibits in a weekend but since they are located in different areas, I decided to not overdo it and split the visits. So on Saturday Follonica and then Castiglion della Pescaia for dinner, a seaside town that is always very lively and colorful in summer. On late Sunday morning we move on to Grosseto to visit the second exhibit of Mirò at the Archeological Museum. Then I want to wander through the historical center which I personally find adorable with its red and white buildings. After lunch we’ll visit the Archeological Area of Roselle, just 10 km from Grosseto. I used to visit every summer when I was a child back when I wanted to be an archeologist. Roselle is one of the best preserved and most interesting Etruscan areas in Italy. Here one can admire the huge defensive fortifications, thermal baths, the necropolis, the amphitheater and much more. It’s stunning and really beautiful. So, I will pack both my swimsuit and my rain boots, just in case :). Have a nice weekend!